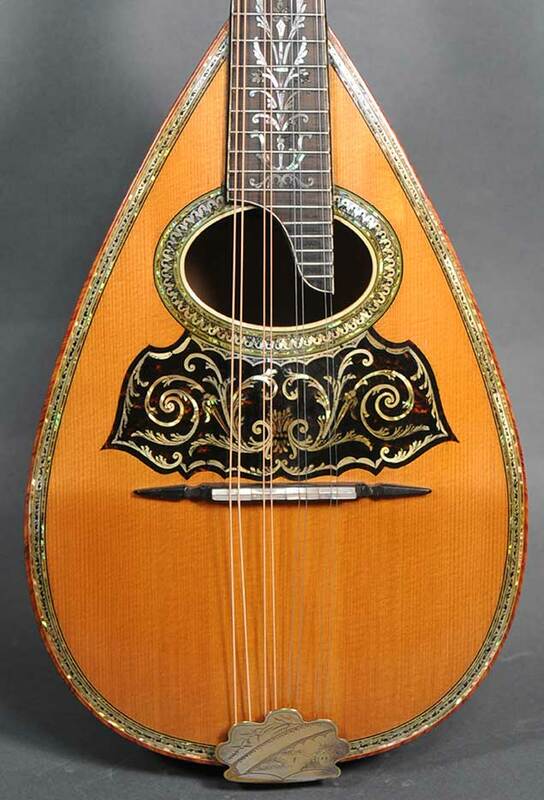 A stunning example of the luthier’s art from the golden era. 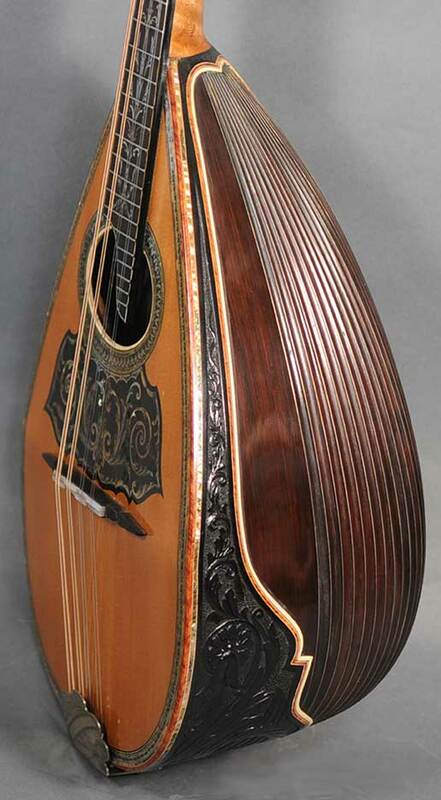 The top is spruce with an inset pickguard inlaid with an engraved pearl vine. 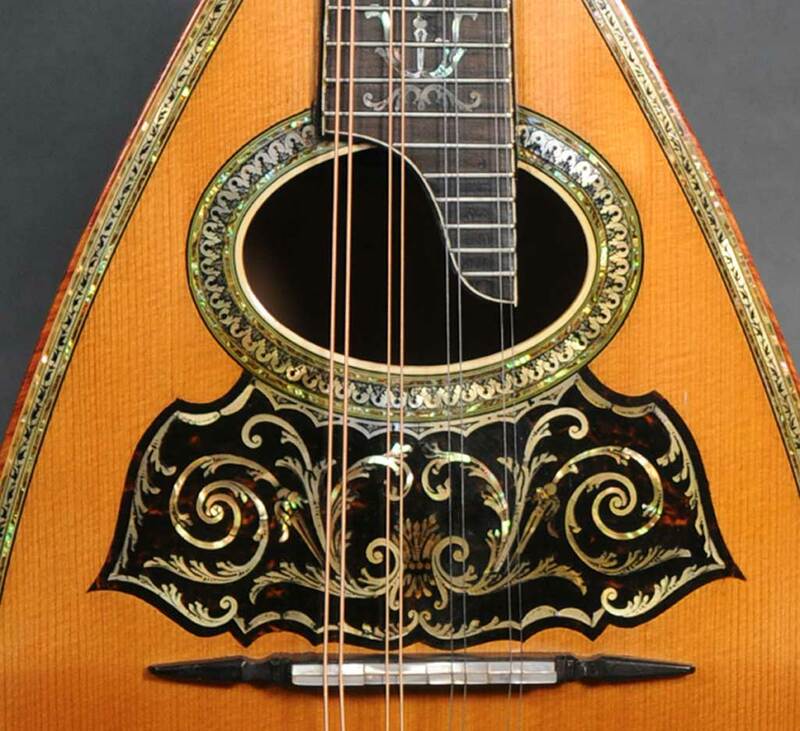 The soundhole rosette is also engraved pearl and abalone. The top purfling consists of three rings, each of a different type of shell, the inner ring of abalone, a center wider ring of white pearl engraved with a leaf and vine pattern and an outer ring of possibly snail shell. Outside of the pearl is a two layer binding of angled wood. The bowl is constructed of forty-three fluted Brazilian rosewood ribs with a wider rib to either side. The skirt is carved with a dragon motif and bordered with abalone at the top edge and wood matching the top binding on the lower edge. The peghead and fretboard are elaborately inlaid. 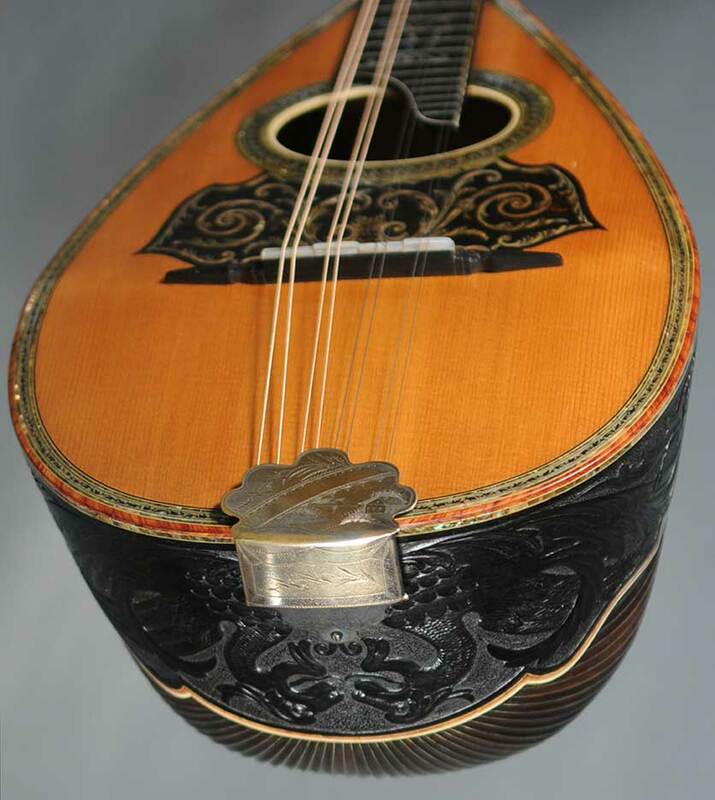 The mandolin is in exceptionally fine original condition, showing only slight playing wear. With the original leather case.